The New Inn Hotel is located in Clapham, England, 1.5 miles from Ingleborough Cave and two miles from Yorkshire Dales Falconry Centre. Settle town centre and its train station is six miles from the hotel. Hotel Features. The New Inn Hotel is an 18th century coaching inn set amid the Yorkshire Dales National Park with a dramatic backdrop of peaks, dales, rivers and waterfalls. The Quality Hotel King's Lynn is located in the historic port and market town of King's Lynn. Royal Sandringham, the picturesque North Norfolk coast and the principal business parks are all close by. Whether on business or leisure, relax in the comfortable and friendly atmosphere of this well-located hotel. 50 well-appointed bedrooms, including singles, doubles, twins, family rooms with interconnecting doors. The Liner Hotel is located in Liverpool, England, 200 metres from the city centre. The Walker Art Gallery is one mile away and Tate Liverpool and the Beatles Story are both 1.5 miles away. Lime Street Station is situated 100 metres from the hotel. Hotel Features. The Liner is a themed around a 1930s cruise ship, and opens to a reception area finished with wood panelling and brass portholes. The Southwark Rose Hotel in London provides modern, economic accommodations in the historic city borough of Southwark, home to the Globe Theatre and other venues associated with William Shakespeare's work. The hotel is conveniently situated near the Southwark Jubilee Line and Waterloo tube stations. Nearby attractions include the River Thames, Borough Market, Tate Modern, Millennium Bridge, National Theatre and the London Eye. The Luton Swallow is a modern hotel situated in the outskirts of Luton, two and a half miles from the city centre and five miles from Luton Airport. The 91 guestrooms are spread over four floors and have contemporary decor with light wooden furnishings. All are equipped with satellite television, direct dial phones with voicemail, Internet connections, and tea and coffee making facilities. In a quiet row of London town houses, Jenkins Hotel overlooks a small park and a tennis court. London Euston Train Station and The British Library are 5 minutes' walk away. Hotel opulence has recently opened in 2006 and has 19 elegantly appointed bedrooms which offer a relaxing, classic decor amid a refined atmosphere. they are lavishly furnished for comfort. an intimate and charming atmosphere has been created for guests with attentive service in luxurious surroundings. the bedrooms contain artwork, a working space and in room spa facilities on request. This clean, safe hostel is just 10 minutes' walk from Willesden Green Underground Station with easy access into central London. It offers free Wi-Fi, luggage storage, and a large TV lounge. Set in a quiet area in Bugibba's centre, the family-run For Rest Aparthotel is 600 metres from the beach. It offers spacious apartments with free Wi-Fi and a balcony. The Celtic Manor Resort is located in Newport, Wales, two miles from the Roman town of Caerleon and 19 miles from Cardiff city centre. Newport railway station is four miles away. Hotel Features. 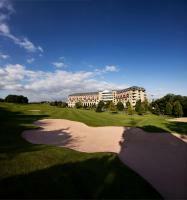 The hotel is located in 1,400 acres of parkland including three 18 hole golf courses. Two health spas are available and guests receive complimentary membership of the onsite Forum Health Club. The Huntly Arms Hotel is located in Aboyne, Scotland. 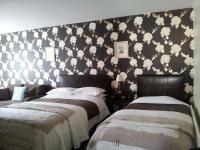 Located just off A93 road 27 miles from Braemar 31 miles from Aberdeen Hotel Features. 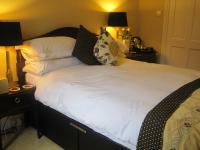 15th century coaching inn Complimentary breakfast Restaurant and lounge bar Wireless Internet access Guestrooms. Opposite Kensal Green Station, Hostel 639 offers clean, cheap, budget accommodation at great-value rates, in 4, 6 and 8-bed dormitory rooms and twin rooms. Each of the dormitory rooms is heated and has its own shower and washbasin. This traditional Edwardian property with quiet garden area is located just 250 meters from East Putney Tube Station in South West London. Guests can enjoy shopping and restaurants near the hotel, and the River Thames, is less than a mile away. The spiritual home of tennis, Wimbledon, is only three miles away. London Heathrow Airport is 30 miles away, or about 40 minutes driving time. Hotel Features. The turn of the century building, Thistle Aberdeen Caledonian, is located in Aberdeen city center. Overlooking Union Terrace Gardens, the hotel is set 400 meters from the train station. The 77 guestrooms have a colorful contemporary decor in color coordinated shades of blues and yellows, with light wood furnishings. With scenic views of the Pentland Hills, the luxury Edinburgh City Pads are a 10-minute walk from The Royal Mile. Many of the stylish apartments feature original Scottish art and free Wi-Fi access. Conveniently located 1 mile from Stratford Rail and Tube Station, the Viking Hotel boasts excellent links across London and to all major airports. There is free parking and reception is open 24/7. Within 5 minutes' walk of Hyde Park, Oxford Street's shops and Marble Arch Underground Station, this 5-star hotel features a modern bar and an on-site spa. Free internet access is available throughout The Montcalm. Set in 100 acres of parkland on the River Ure, Aldwark Manor Golf and Spa Hotel is an elegant hotel spread across a traditional English manor house and a contemporary annexe and situated 15 miles from historic York. Leeds Bradford Airport is 25 miles away and takes approximately 50 minutes to reach by car. Hotel Features.